Happy Thursday. 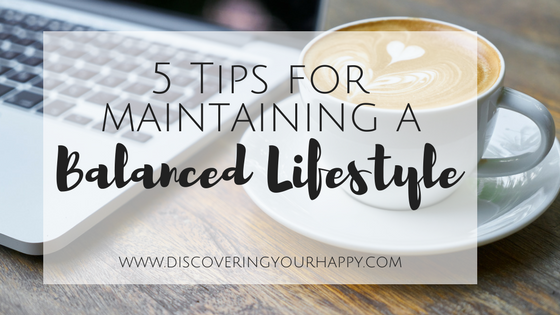 Today I have my sweet friend Annie sharing some tips on maintaining a balanced lifestyle-- something I really need to work on! Here she is! Let's be honest you guys, maintaining any kind of routine can sometimes feel impossible. Day to day life speeds by and we are all running around like chickens with our heads cut off. It's not just me right!? But today I'm giving you a few tips that will hopefully help you slow things down and get life back on the right track so you can enjoy the little moments instead of watching them pass you by. Making a routine with your family is a key part of living a balanced life. Everyone has different schedules and things are constantly coming up and plans changing so this is always a tough one. My planner is pretty much constantly right by my side to help keep track of everything going on each week and who is doing what each day. Once you can juggle everyone and get a routine down, other things start to fall into place and life gets a little easier. Getting enough sleep each night plays a key role in how the following day goes. 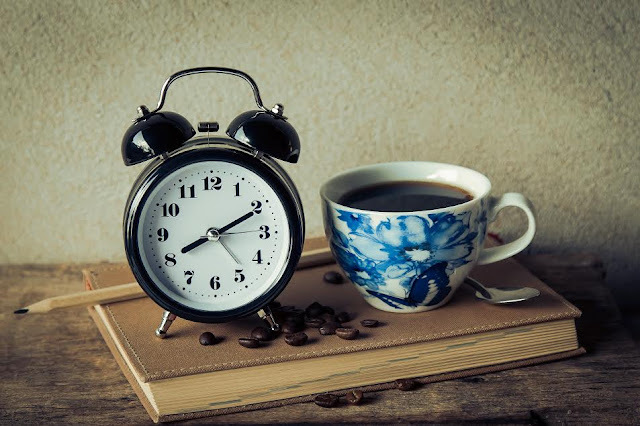 You can either wake up feeling great, refreshed and ready to take on the day or you can wake up and want to go right back to sleep. Granted, getting up is never easy, trust me I know. However, making it a point to get enough sleep at night definitely helps the next day go a little smoother. But on the off days where you don't get much sleep, coffee is always there to help. Something that a lot of us moms forget about but so desperately need is me time. 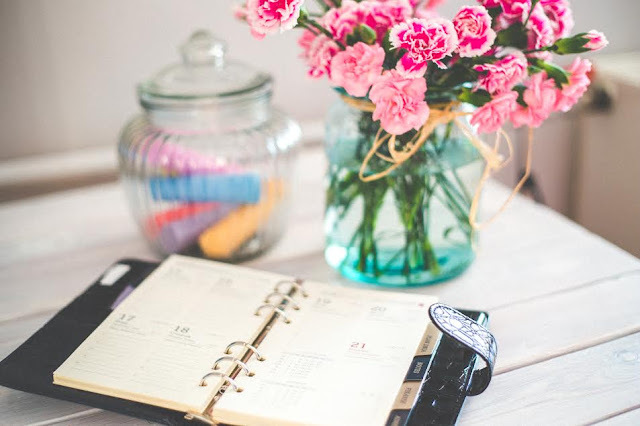 Whether you've got a full-time job or you're a stay at home mom (which let's be serious, is still a full-time job) you've got to make some time for yourself. Whether it's going into a different room and watching a few episodes of your favorite tv show, getting a massage, doing yoga or grabbing a glass of wine with friends, it's something we all need to make sure we do. We get caught up in everyday life and it's ok to take a step back and take time to do something for yourself. Going into the week with a full fridge and meals planned out is a total game changer. Simply knowing what meals are being made each week and preparing for them before the week begins really helps with staying organized. The main meal I focus on having planned out is dinner. Evenings can sometimes be crazy for everyone, with getting home from work and kids getting home from school, so having a meal already planned and everything at your fingertips ready to cook makes your evening that much easier. There's nothing I hate more than having to run to the grocery store after work wandering down the aisles looking for what to make for dinner. Make life easier and have it already planned out. I know it's so hard to make time to workout or that sometimes you feel like there aren't enough hours in the day, but trust me when I say you'll be happy you made time for it. Working out is a great way to clear you mind and get away from it all, even if it's only for a little bit. I find when I've had a more stressful day or am feeling overwhelmed, going outside for a run or getting to the gym helps me relax and get my head straight. And there are your 5 steps to help maintain a balanced lifestyle. They may not come easy at first but don't stop working towards the end goal. Once you can nail down a few of these steps, things slowly fall into place and those days of feeling pulled in a million directions will get fewer and fewer. Do you guys have any tips for keeping a balanced lifestyle? I'd love to hear them and see what you guys do to stay on track!